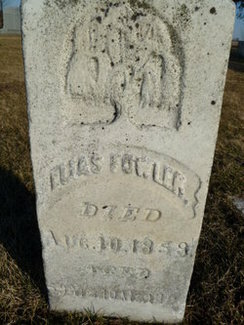 Dunscombe & Allied Families - ELIAS FOWLER GRAVE, OSCEOLA CEMETERY, ELMIRA, ILLINOIS. Inscription: aged 59 yrs., 10 mos. 14 dys.